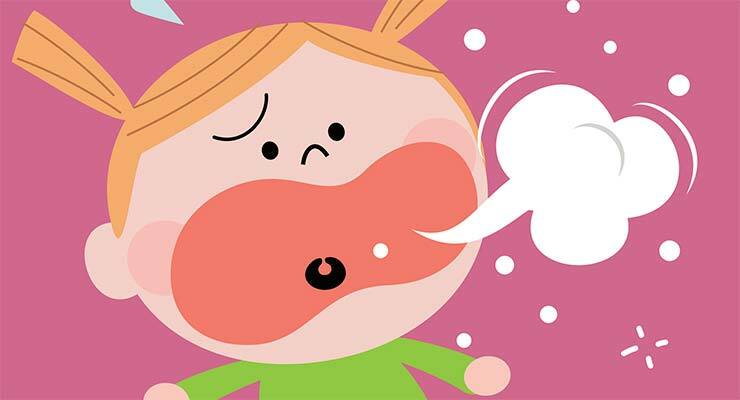 6 types of kids’ coughs explained | Norton Children's Louisville, Ky.
A kid’s cough can be a sign of a simple cold or something more serious that needs medical attention. Here are six types of coughs and how to handle them in babies, toddlers and older kids. Also called a hacking cough; if it persists after a cold, it likely is caused by residual mucus that will eventually clear up. If the cough happens mostly at night, your child could have asthma. Mucus in inflamed and narrowed lung passages causes irritation that creates a cough. It’s most common when lying down, after exercise, in cold air and when the child has a cold or allergies. If your child’s dry cough is worse at night or after exercise, he should be examined for asthma by a pediatrician. This is a condition that needs medical intervention and won’t go away on its own. At-home helps: Control asthma triggers such as dust, mold, pollen and pet dander. If it’s not asthma, your child should drink plenty of fluids while the mucus works its way out of his system. A cough with a lot of mucus or phlegm usually is a sign of a cold, especially if your child also has a runny nose and sore throat. If the cough is accompanied by a fever and thick, green mucus, it could be a sinus infection. If your child has had a cold and the cough is getting worse, it could be pneumonia. A cold has to go away on its own; antibiotics won’t help. If you suspect a sinus infection or pneumonia, call your child’s pediatrician. At-home helps: If your child is too young to blow her nose, use a bulb syringe to clear the mucus. Saline nose drops also may help, along with a cool-mist humidifier. Over-the-counter cold medicine made just for children can help, but consult with a pharmacist or pediatrician first. A baby who has a wheezy cough, or a cough that sounds gurgly or raspy, could have an infection of the airways called RSV (respiratory syncytial virus). This most often affects babies in the winter months. In an older child, what you are hearing could be asthma. RSV usually will go away on its own, but let your baby’s pediatrician know what’s going on. If your baby is having trouble breathing, she needs medical attention right away. If it’s an older child, have her examined by a pediatrician. At-home helps: A cool-mist humidifier in the child’s room can help with congestion. Be sure your child gets plenty of rest and fluids. If your child has a cough accompanied by tiredness, a fever and achiness, she may have the flu, or influenza. The flu is a virus that may incubate in a child for days before the child starts feeling sick. Same-day appointments available with our pediatricians at offices throughout Louisville and Southern Indiana. The flu virus has to work its way out of your child’s system. If your child has difficulty breathing or a fever that won’t go away, take her to the doctor. At-home helps: Drinking plenty of fluids, getting rest and taking children’s acetaminophen or ibuprofen will help relieve symptoms. A cough that sounds sort of like a bark with a high-pitched whistle when your child inhales could be croup. This virus usually affects kids ages 6 months to 3 years and causes inflammation in the windpipe, creating the telltale whistling sound. Although croup usually goes away on its own, call your child’s pediatrician if you suspect it. If your child is struggling to breathe, call 911. At-home helps: A cool-mist humidifier in your child’s bedroom, taking a hot shower or sitting in a steamy bathroom can help relieve symptoms. Also, make sure your child is drinking plenty of fluids. The sound of this cough also is the name for a potentially serious viral illness. If your child is having coughing fits and making a whooping sound when he inhales, it could be whooping cough — caused by bacteria called pertussis. Babies are most likely to get whooping cough because they have not yet had all their boosters for DTaP, a vaccination that protects against diphtheria, tetanus and pertussis. In babies, the cough may be followed by gagging or vomiting instead of a whooping sound. Call your child’s doctor immediately if you suspect whooping cough. It is highly contagious but also very treatable. At-home helps: Make sure your child gets plenty of rest and relaxation. Staying in a cool, quiet, dark room may help, as well as lessen the risk of spreading germs. The child also should drink plenty of fluids and avoid areas where the air may be irritating, such as around fireplaces or secondhand smoke.